A Frame home on five beautiful acres. A superior lot with outstanding tree cover for seclusion, meadows with great views of the mountain peaks in a couple different directions. Remodel this home for a getaway cabin or starter home with lots of potential. Seller has a new engineered septic system design & the location has been staked out for installation. Well already installed. Home location is away from the road or neighbors. 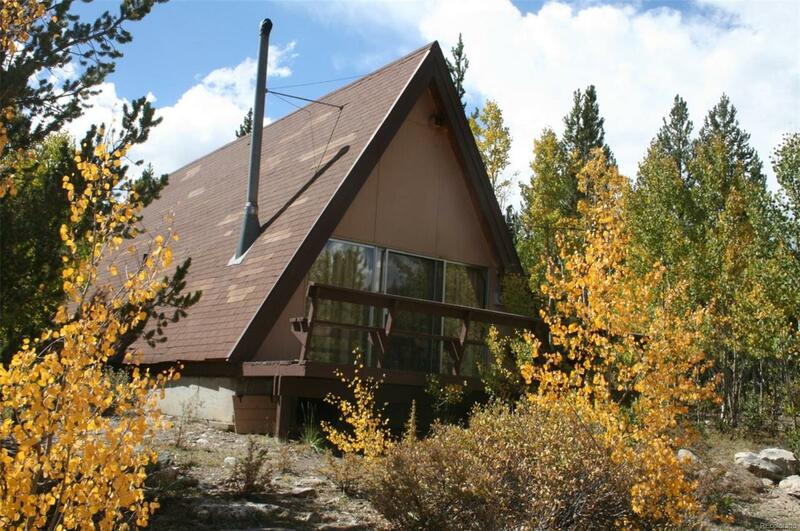 Super nice subdivision and only 20 minutes to Breckenridge in the summer. This home will not qualify for a conventional loan as there is no septic system installed and the roof needs repair. New septic system design is in the attachments section and the system has been stacked out by the engineer.